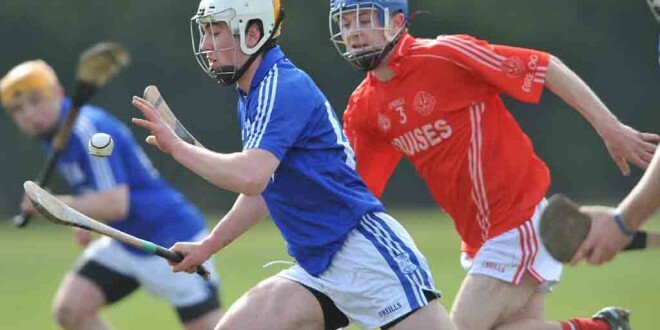 Conor Mc Grath of Cratloe in action against Ciaran Russell of Eire Og during their U-21 championship game at Newmarket On Fergus. Photograph by John Kelly. Eire Og’s Ciaran Russell will make his debut for the Clare senior footballers in Sunday’s crucial league clash with Carlow at Cusack Park. Kevin Hartnett who didn’t start that game due to injury but who came in for the second half is now named at full back releasing Gordon Kelly for duty at centre back. This results in the switch of Enda Coughlan to corner forward. Under 21 player Jamie Malone returns to the starting line up and will lead the attack flanked by Shane McGrath and Sean Collins. Although available to the footballers this weekend, dual player Podge Collins isn’t included in the starting line up due to a hand injury which kept him out of the hurlers league clash with Galway last week.